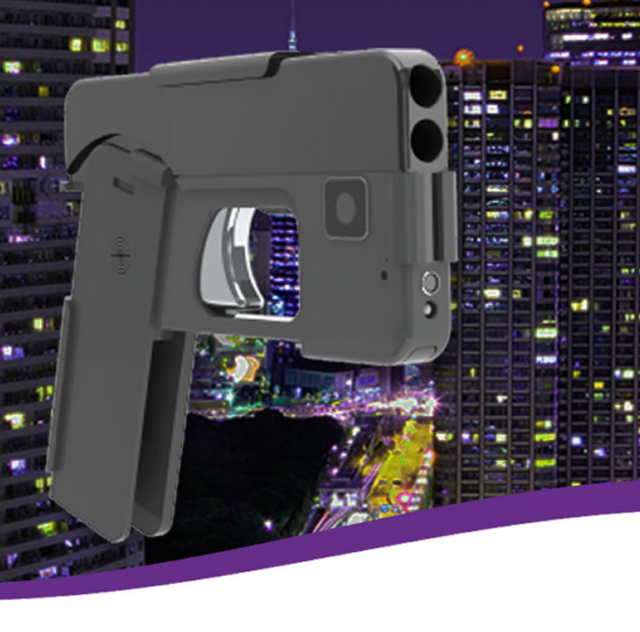 This gun looks like a smartphone. Casey, McLay don’t want it on the streets. This post was updated at 4:15 p.m. April 21. Police chiefs in Pittsburgh and Philadelphia, along with Sen. Robert Casey (D-Pa.), are asking the Bureau of Alcohol Tobacco, Firearms and Explosives [ATF] to review a concealed handgun in development that is disguised as a smartphone. The product, which is being manufactured by Minnesota-based Ideal Conceal, poses a threat to police and the public, especially children, according to a Thursday letter to the ATF’s deputy director. “The last thing we need is a weapon that people will routinely, almost in every case mistake for a smartphone,” Casey said on a call with reporters, adding that he hopes the ATF can keep the weapon from ever getting to market. The company sees the similarity as an asset. Smartphones are EVERYWHERE, so your new pistol will easily blend in with today’s environment. In its locked position it will be virtually undetectable because it hides in plain sight. The chiefs concede that police already “face difficulty” deciding if suspects are grabbing a phone or a weapon. Now, they’ll look identical. “To manufacture a product that absolutely is designed to look like that is fraught with so many dangers that I can’t even begin to describe,” Ross said on the call. McLay did not participate in the media conference call. Casey said children, who increasingly use smartphones as part of everyday life, are especially at risk if they accidentally pick up a loaded gun. The National Firearms Act covers disguised weapons such as cigarette lighter guns and pen guns. In most cases they’re banned, unless the weapons can meet strict registration requirements. A smartphone gun is not “meaningfully different,” the letter said, asking that the ATF review the threat posed to public safety and examine compliance with federal laws and regulation. While Casey said he hopes the weapon won’t ever reach the streets, he said he doesn’t know what the agency will decide. Casey also said litigation could be likely, meaning a decision could be up to a judge. A spokesman for the ATF said the smartphone gun could fall under the constraints of the National Firearms Act, but a determination cannot be made without a physical examination. “As this firearm is not currently in production, ATF cannot conduct an evaluation of this firearm,” spokesman Corey Ray wrote in an email Thursday afternoon. Ideal Conceal also did not immediately respond to a request for comment.